Multiple selection index tables are used in situations you want to create additional selection screen for the values, that appear more than once in a single message (for example plant ID on item level or material number in Sales Order). In this blog I will show you how to use multiple index table to handle selection for the material number in inbound IDoc sales order interface in IDoc segment E1EDP01-E1EDP19-IDTNR. Next, we have to create or extend existing module pool program. I will extend the module pool used in previous blog with the select options for material number. In case of any issues see the following code snippet of this program. For multiple index table, we need additional S_MAT select-options. In the last step, you have to configure newly created index table in AIF Customizing. Go to transaction /n/AIF/CUST and go to SAP Application Interface Framework –> Error Handling –> Define Interface-Specific Features. Here you can see one difference between a single index and multi-index tables configuration. For single index table you have to add table name in Define Namespace-Specific features first. For multiple index tables you shouldn’t do it, because you will add it directly in Interface-Specific features. Congrats! 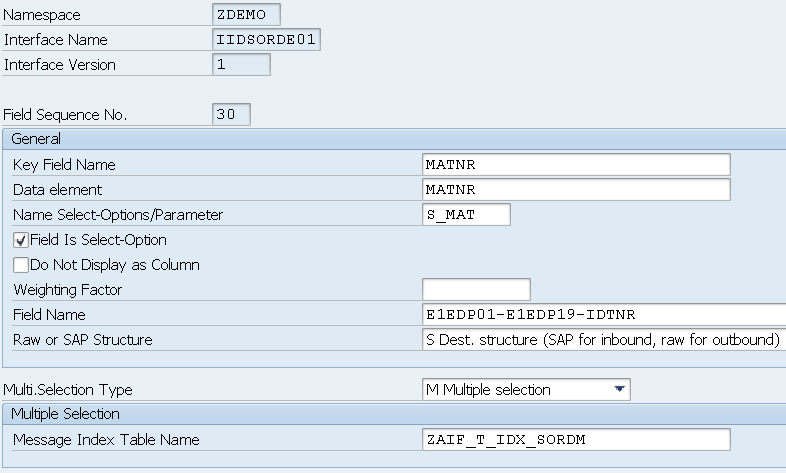 Multiple index table in SAP AIF is configured properly! 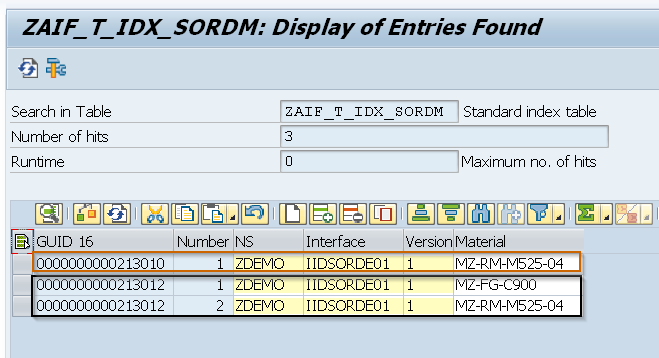 Now when you send via WE19 or SOAPUI a message with two line items and you open your multi-index table in SE16N you should see two entries with the same SAP AIF GUID, but with different material numbers. Thanks to this we know, that our AIF multi-index works! I hope that creation and configuration of SAP AIF MultiIndex tables and Single Index tables are now a piece of cake for you! I am curious, for which field do you use multi index tables in your scenarios? We are describing this and other processes in the more detailed way in our new book on which we are still working on. I can tell you, that book will be available in October as an E-Bite on SAP Press!